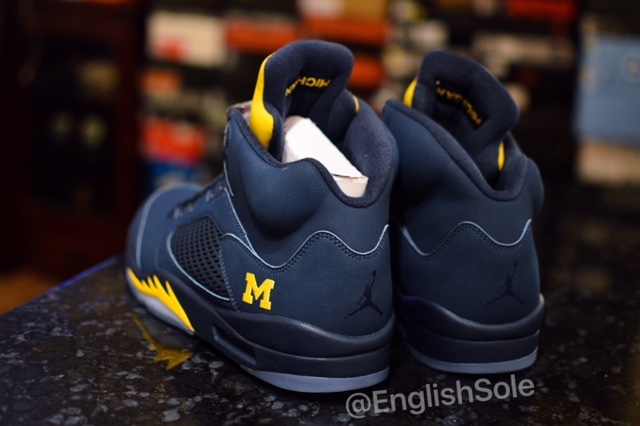 Earlier this year, the Michigan Wolverines signed with Jordan Brand resulting in a complete revamp of their uniforms and extra perks like Michigan themed retro’s. 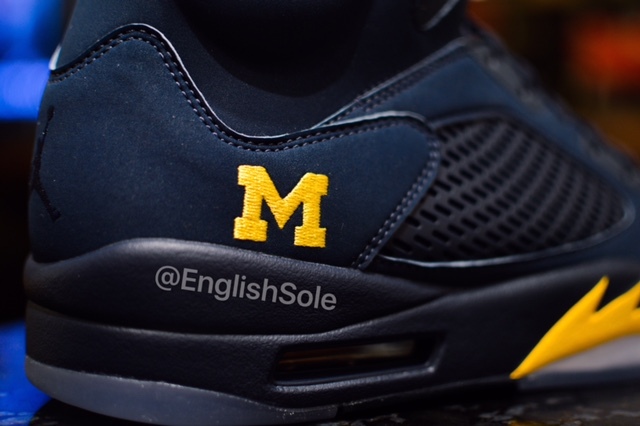 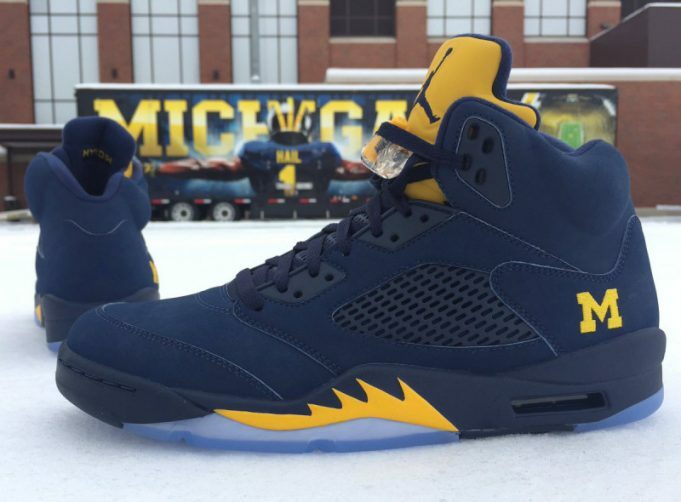 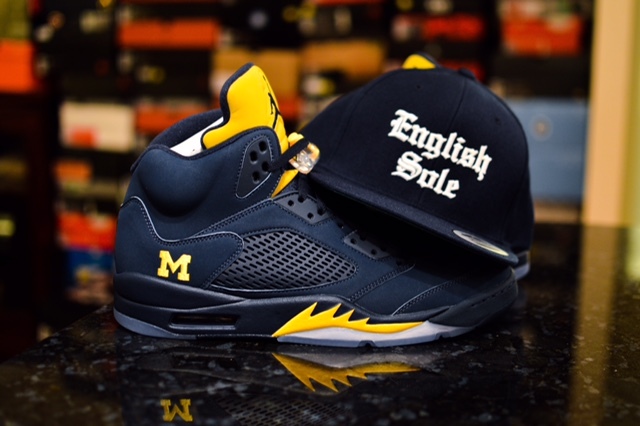 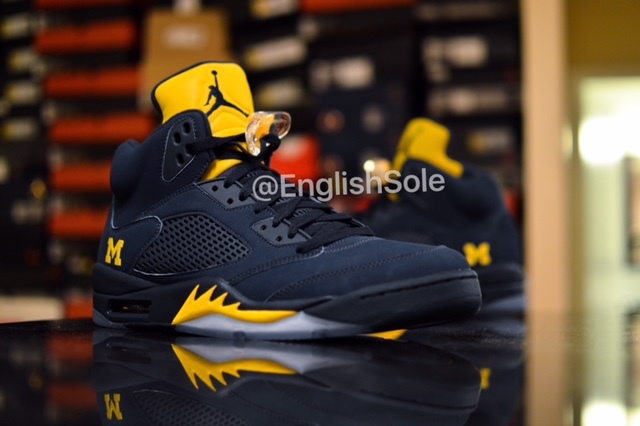 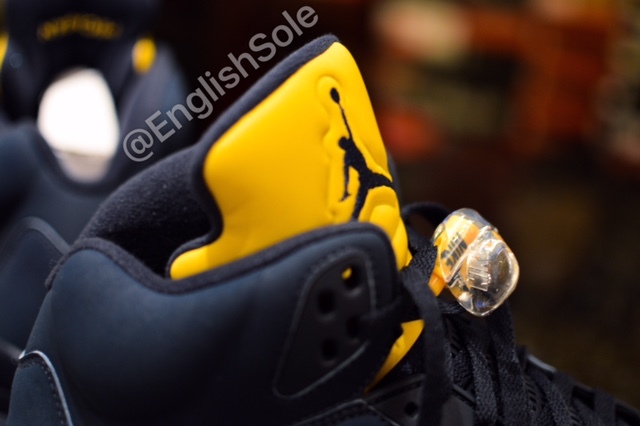 Today, we get a first look at the Air Jordan 5 “Michigan” sporting the Wolverines colors of Navy and Yellow. 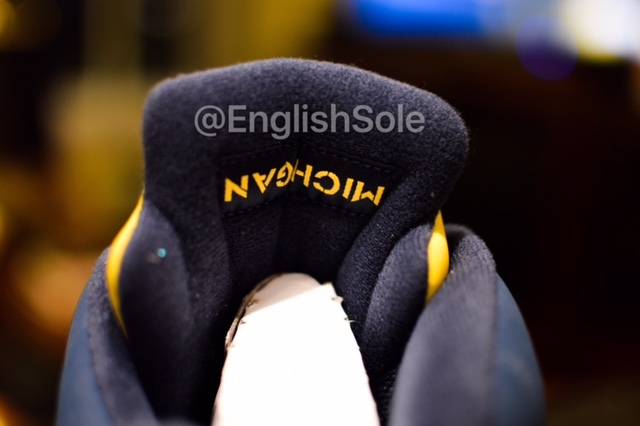 The upper is done with nubuck and sits on an icy blue outsole. 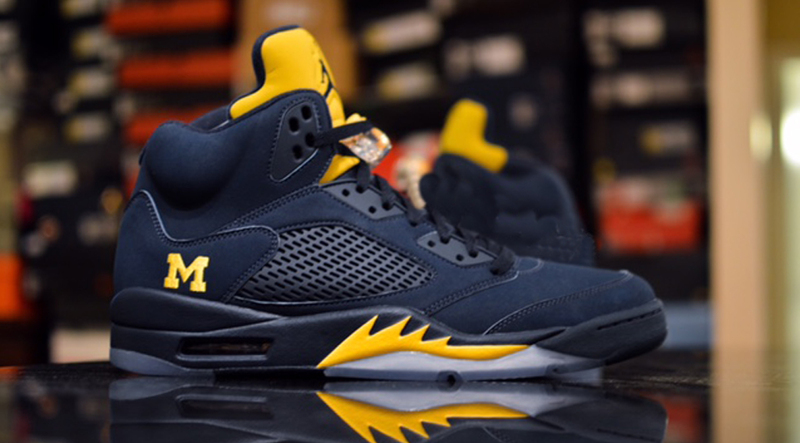 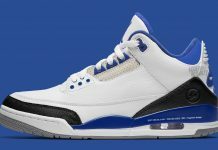 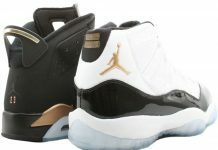 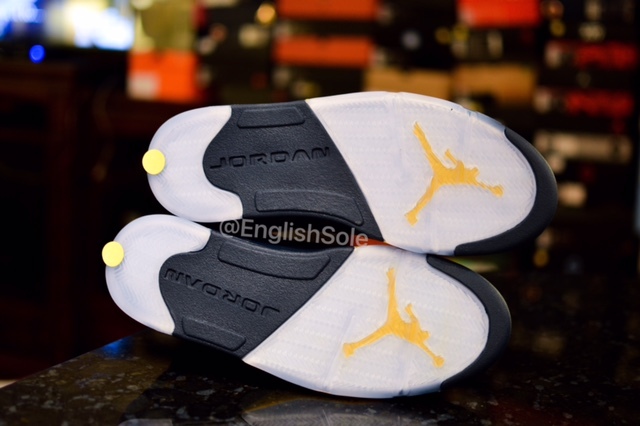 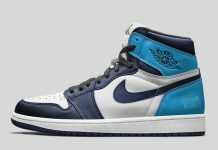 No, these won’t be releasing but if you know someone at Michigan, hit them up to hook you up with a pair.